May 30, 2016 in "The Tree of Life"
The Tree of Life at Disney's Animal Kingdom takes on new life after dark with the Tree of Life Awakenings. Beginning each night at Sunset, the animal carvings on the Tree of Life come to life. The projections begin prior to sunset, making the transition from daylight to nighttime seamless. Most of the time, the tree is in a subtle "standby" mode, where the animals will occasionally take a stretch, or swish a tail. You have to watch closely, but gasps from the crowd are usually a good indication that something just moved. Every 15 - 20 mins, the Tree will go into a full animated sequence complete with music. There are four sequences like this, taking inspiration from some of Disney's classic animated movies. The sequences run for around 5 minutes. Then finally, there are a couple of short animated sequences not accompanied by music, such as grass growing as tall as the tree and snowfall. 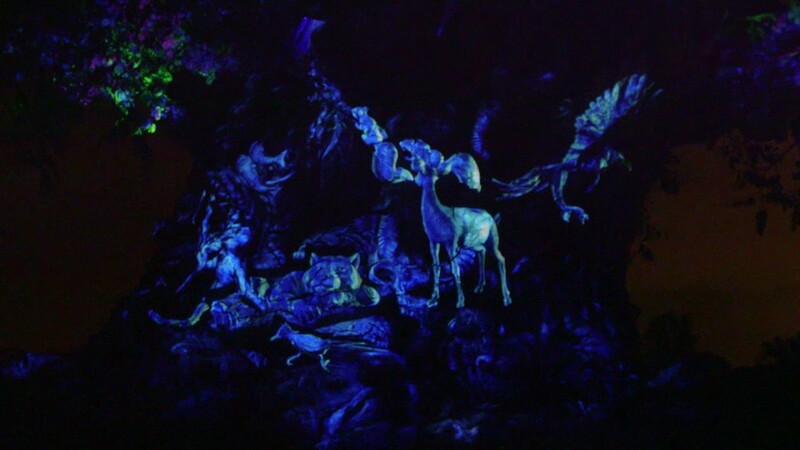 The Tree of Life uses projection mapping, similar to Celebrate the Magic at the Magic Kingdom. 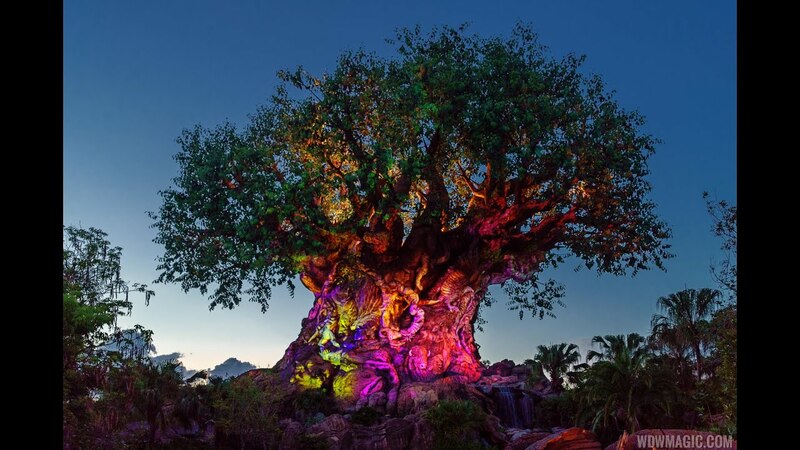 At Animal Kingdom, there is also a clever lighting package inside the canopy of the tree, make the effect appear to emanate from inside the tree itself. Viewing for the awakenings is only possible from the front of the tree, so you will need to be positioned along the walkway in front of the Tree of Life. It can get busy there, particularly when people are exiting. 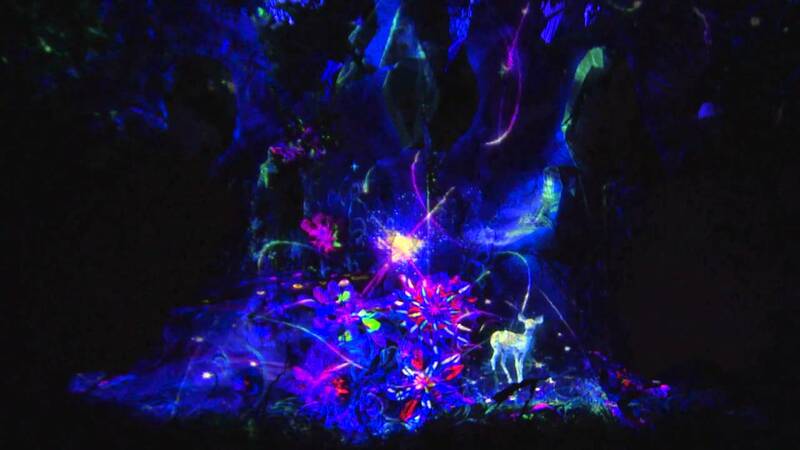 Although the animated sequences play randomly, standing in the area for an hour should allow you to see most of them. During the summer months, the first animated sequence should start around 9pm. We've got video of all of the animated sequences, along with a look at some of the more subtle animal movements in the video below.